Eights and Weights: Interview with Dami Bakare: "When You Leap, Leap High"
Interview with Dami Bakare: "When You Leap, Leap High"
Who is Dami Bakare? 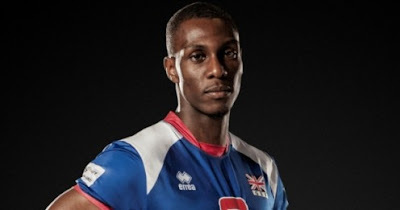 Well, if you watched the London 2012 Olympics, you may have seen the 6ft 5in Nigerian-born Brit playing volleyball for Great Britain. Athletes fascinate me with their drive to succeed and how much they put into their bodies to perform. We could all learn from them in our quest for fitness. I got the chance to interview Dami, and I must say, I was thoroughly impressed by his hard work, his background, his patience with me, and his overall attitude. He was on a full-time training schedule in Korea during this interview and coordinating our schedules was not the easiest thing, so patience was really required. Alright, let me get off of those praises and focus on the actual interview. Enjoy! Eights & Weights: Can you tell us a little about your history and how you got into volleyball? Dami: I was born in Kaduna, Nigeria and moved to London while I was still a baby. In Primary school, I took up learning the trumpet. In Secondary school, I gave music up and went into sports. I was involved in basketball and high jump on and off. In high jump, my highest achievement was representing my borough, Wandsworth at the London games. In basketball, I trained with the England coach and some of the team members for a while, but I had to stop training because due to the travel distance, it interfered with school too much. So I took up volleyball in school over lunch breaks as advised by a teacher. It slowly progressed from there. I played for the school, the borough, London, England and finally, Great Britain. I also progressed to playing for a few teams within the UK leagues as well as professionally in Belgium and now I am currently playing professionally in South Korea. Eights & Weights: That's quite a random story. We keep seeing that Olympics athletes 'found' the sport they play in. How does it feel to have participated in the Olympics? Tell us about your journey to get there. Dami: It's pretty funny, but the only time I really remember playing in the Olympics is when I look back at photos or videos taken while I was there. It actually feels like a dream I once had. But I'm so grateful, excited, glad, confused at how I managed to make it to that point. To be honest, when I started in volleyball, I never even thought about getting as far as I have. Then London won the bid for 2012, and suddenly a new door had opened. I think I was already playing for England at that point so I felt I had a chance to make it into the Olympic team. This would come at a price however. I turned down the opportunity to be with a bunch of players training as a new team in Holland for a year so I could start my degree in Dentistry in the university of Bristol. The word at the time was that the team would be based in Sheffield upon returning at the end of the season. So I looked into transferring my course over to the university of Sheffield. Luckily, within the 1st year of study it was still possible. What I didn't expect was how fast it hit me. Training full time while being on a full time course where I'm already dealing with my own patients! My schedule was intense: 6am wake up for 7am weights before rushing back for 9am - 3pm clinics and lectures, and then back again for 2-3 hours of training in the evening. Things were worse during the international season which also tied in perfectly with the exam period! By the end of my 3rd year, my grades had taken a hit, my training progress had become stagnant, and I was told it would be difficult for me to make the team if I continued with the way things were. 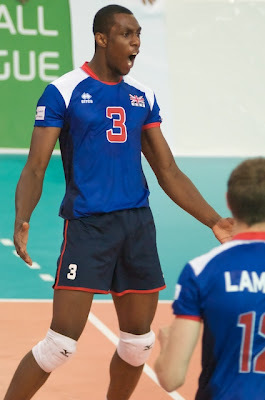 Maybe it was a good thing the UK sport funding stopped for the program in Sheffield as it meant I had to make a choice: stay in Sheffield training less but able to study, or focus full time on volleyball. After a lot of talking with the Dental school, they allow me to take a few years out. Just what I needed. After that hurdle, I played in Belgium for 2 years. During the international season, I was back with the Great Britain squad fighting for a position. I was fighting more to be a starter rather than just making the team, and I achieved this. That's how I got to the Olympics pretty much. Eights & Weights: How has the participation in the Olympics affected your everyday life? Have you got any endorsement deals or offers that you may have only hoped for prior to the Olympics? 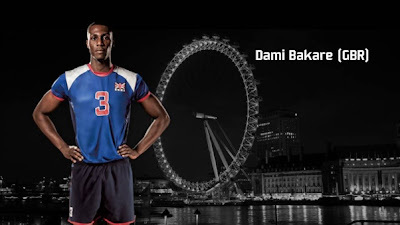 Dami: I wish that the volleyball team as a whole would have had more exposure to these things but being indoor volleyball, it isn't well known in the UK and was the first time it got aired on a main channel during the games. So unfortunately, no. Eights & Weights: I don't think people realize how much training athletes go through to perform at their sports. How much training did you have to do to prepare for the Olympics? What was your typical training week like with both exercise and nutrition? Dami: Training with the national team was completely different to my time in Belgium and it is completely different now I'm in South Korea. When I first started with the development squad, weight sessions were early in the morning and it contained a lot of power exercises aka Olympic lifts! A lot happened in the morning! Then a large break for people to go to work or school/college/uni etc before a court session in the evening. During international season, weights would be a little later and training a little earlier. Weeks were planned with 3 weight sessions, 2 bike spinning sessions (roughly 1 hour long) and 5 court sessions (2-3 hours long). Weekends were normally free but there could be a morning court or weight session randomly. With the national team, we were always left to our own devices when it came to nutrition. This is probably a fair bit different from other sports, but never proved a problem for a lot of us. We had all gone through the same process of getting nutrition talks when younger so we ate what we thought we needed, which could be different for everyone. I ate a lot of rice and pasta; basic things really. I always had chicken handy to make something quick, and then a couple times a week, throw in some fish, sweet potatoes and beef into the mix. Breakfast was simple: porridge/oats and a protein shake. Protein shakes were used as a diet supplement for repair rather than muscle growth. Most meals were cooked at home otherwise it was an odd Subway meal when rushed for time or a stone-baked thin crust pizza once every couple of weeks with the team. Eights & Weights: And now? What does your typical training day look like since the Olympics is over? Dami: Training has varied since then to being a little less work in the gym in Belgium with no weekend training and now every so often 3 training sessions in a day! While in Belgium, my meals were taken care of, so a lot of fruit and veggies and a mix of meats with every meal. That's probably the best I've eaten. Plus, desserts were amazing though not always required! South Korea is a lot different in diet. They eat pork a lot here and I've had a few words to say about that. I also don't think they have the same idea about sports nutrition as we do in the UK, so I have been surprised at meals we've had before games and even more so directly after games. To me it always seems to be to fatty/fried or just not enough. However, in Korea, we train everyday for the most part. We play matches almost twice a week too. A typical day so far has been: breakfast at 8am, weights at 10am, a court session till about 12 - 1pm, lunch, and then usually another training session within 2 hours. The length of the post-lunch training session can vary, but on average, I'd say it usually lasts 2-2.5 hours. We may have a training session later after dinner and there will be no food provided after this session if it happens. Eights & Weights: What muscle groups are usually important for volleyball? Dami: Things that need to be looked after well in volleyball are the ankles, knees and shoulders, I'd say. Prevention is a big part of training. You do things to prevent injury as well as do preventative exercises. But every volleyballer will and should do squats, leg extensions, and dead lifts. I'd say a good strong back/shoulder is better than a good looking chest. It is the small muscles that can cause a lot of functional problems if they are injured or not used in the right way. Most exercises we try to do are with free weights rather than a machine as it requires more muscle stability and therefore incorporates more muscle control. (yay!) Also, free weights are better for working those smaller muscles groups, especially around the shoulder. TRX rows are a good work out, with or without weights. We work on strengthening the rotator cuff around the shoulders for endurance purposes, not necessarily to make them larger. Depending on the phase of workout you may be required to help speed things up a little, so squat jumps, box jumps, rebound box jumps or another type of rebound jump. Eights & Weights: We focus a lot on exercise and nutrition for our readers. For those who want to build bodies like volleyballers, what are some exercise and nutrition tips you can suggest? Eights & Weights: Now that the Olympics are over, what is the next step for you? Dami: Right now, I'm still playing in South Korea. So I guess this was my next step. Why here? I wanted a bit of an experience, and it was one of very few options still available to me. Eights & Weights: Would you continue training and try to qualify for the 2016 Olympics? 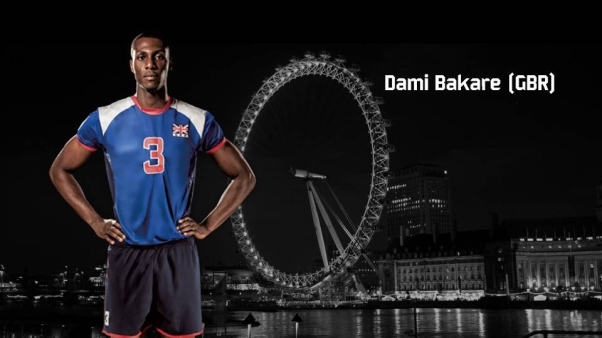 Dami: My situation is a little difficult with university still holding my place, change in student fees, how much we have in terms of funding for 2016, and the legacy of volleyball in Great Britain, while working with the different volleyball federations we have. It's a question I will only be able to answer once a few more things have been finalized next year. Eights & Weights: How is the Dentistry line looking like for you? Dami: While studying Dentistry, I loved it. I'm still very much interested in completing the course. However, I haven't done anything 'dentisty' for the last 2-3 years. And so I'm way too rusty to be allowed in anyone's mouth right now. But given a month or so, I'm sure I will get the skills back again. There are some things that need to be resolved with the university on how best to incorporate me back into the course, since it has been a while and many things have changed in the guidelines and the curriculum itself. Talks are still happening, so we'll see. Eights & Weights: Well, we have our fingers crossed for you. I for one, believe you can do whatever you set your mind to. Before we let you go, what is one thing our readers would be surprised to learn about you? Well, there you have it! Hopefully, you fell in love with him too. Keep looking out for Dami in the volleyball circuit in the future. 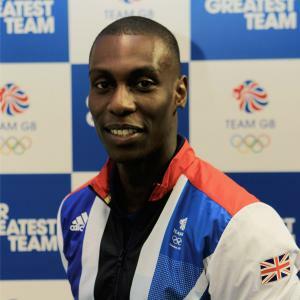 Follow Dami on Twitter @donlybakare to learn more about future games and activities he is involved in. Ankle Weights: Yay or Nay? What Does All This Sweat Mean?